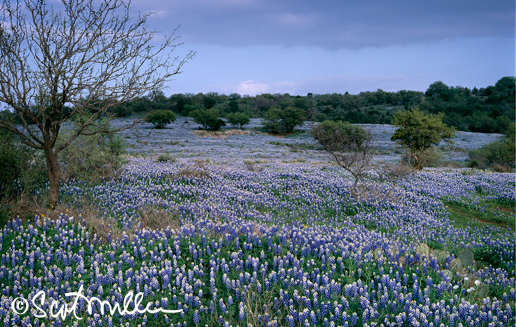 We love the Texas Hill Country! I have loved it since I was little, when my family would go every Memorial Day weekend; Scot fell in love with the Hill Country in 1995. Because we have been visiting so many years, we have a favorite route, favorite restaurants, favorite accommodations, a favorite radio station and many suggestions to make it a great trip. Hico, Texas –Blue Star Trading Company has funky country home furnishings. Fun can be had anywhere along the way; we stop at any antique shop calling our names. Hamilton, Texas – This is about the halfway point from Dallas and if you need to stop and get a soda or tea, or powder you nose, the Dairy Queen is on your way out of town (southside). They just finished updating the restaurant; it will be great once they update the restrooms. Lampasas, Texas – Hwy 281 takes a 90-degree right hand turn here . . . watch for it! McDonald’s for $1 fresh brewed iced tea and clean restrooms. Taco Bell’s about the same, but the tea costs a little more. For DQ lovers, there is a Dairy Queen just past Hwy 281’s right hand turn. Once you've turned right following Hwy. 281 south, go over a bridge to Firehouse BBQ on the left with decent bbq, but more importantly . . . it’s dog friendly! Marble Falls, Texas – Brothers Bakery & Cafe has great sandwiches, salads and pastries. For KILLER home-style cooking worth waiting in line, go to the Blue Bonnet Café. it’s been around since 1929 for a reason. Tune your radio to Texas Rebel Radio (107.9 FM) as you exit Marble Falls... it’s a mood changer! 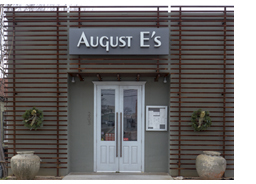 FREDERICKSBURG, Texas – The following recommendations are for places we have first hand knowledge of. If you want a classic log cabin, go to Gästehaus Schmidt which offers free reservation services for Texas Hill Country lodging, bed and breakfasts, and country inns. Other lodging reservation services are: 1st Class Lodging Reservation Service and Main Street Bed and Breakfast Reservation Service. For a really lovely Inn stay, check out Hoffman Haus. The location is great (just off Maine Street in Fredericksburg) and the accommodations are wonderful. This would be a great place for several couples to stay when traveling together; It would be especially fabulous for an intimate adult wedding (note: the Hampton Inn is 1 block away for families w/ children). If you are traveling with children the new Hampton Inn is centrally located, walking distance to shops, has restaurants all around, and a nice pool to keep kids busy and cool. Fredericksburg Hill Country Motel – centrally located, walking distance, restaurants around . . . maybe the best pool in town. A nice motel. Sliver Creek – Great casual lunch sitting on the patio in the center of town, with live music. Try the Rueben Sandwich or Sausage Plate. Navajo Grill – we have experienced consistently good food, with interesting combinations, all with a southwestern twist. Word has it Otto’s will be opening an Ice Haus next door to the restaurant, as soon as they can get all city requirements met . . . sounds fun, huh? Hope your travels are wonderful & safe, and may the wind be at your back . . . it sure helps with gas mileage! LUCKENBACH, TX is about 30 mins from Fredricksburg. Take Hwy 290 East toward Johnson City then Hwy 1376 South to Luckenbach. It won’t take long to stop by this “Country Ballad” Town. The Old Tunnel Wildlife Management Area accommodates approximately 2 million Mexican Free-tail bats from about March to October (July & August is peak - depending on the weather). The “ bat tunnel” was a train tunnel used in the early 1900’s. Now, if you wait for sunset in the areas provided with seating, you will see a tornado of bats swirl out of the tunnel, up into the sky & away to find dinner. It is a sight! The Old Tunnel WMA is located in Kendall County, Texas, approximately 13 miles north of Comfort and 11 miles south of Fredericksburg. Take Hwy 87 North to MASON CITY & FORT MASON, about 40 miles northwest of Fredricksburg. Scot & I found the country roads between to be more heavily covered with bluebonnets than some other recommended areas. Once in Mason, we stopped in the Chamber of Commerce on the square & picked-up some brochures. 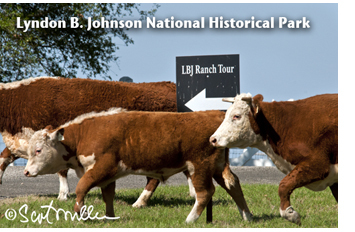 We enjoyed a “Historic Bluebonnet Drive (April) Wildflower Drive (May)” brochure, that directs you on three different drives (#1 - 31.7 miles / #2 - 15.4 miles / #3 - 44.6 miles - we took this route) with historic notes & scenic river crossing drives. The Wildseed Farm, just east of Fredericksburg on Hwy 290 is a great place to pick up native seeds.